As the owner of Reliable Auto Glass, I would like to personally thank you for choosing us to help you with your auto glass needs. It is our goal to be the best! Your opinion matters to us. Please take a moment to fill out this online questionnaire and you will automatically be entered into our monthly drawing to win a dinner for two. 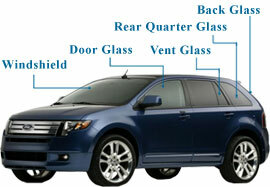 How would you describe your recent auto glass service from Reliable Auto Glass? The customer sales representative handled my call quickly. The auto glass technician was very knowledgeable. The technician arrived within the hours quoted to you by the customer service representative. Was the job performed in a clean and orderly manner? Did the technician leave you with a receipt and instructions?